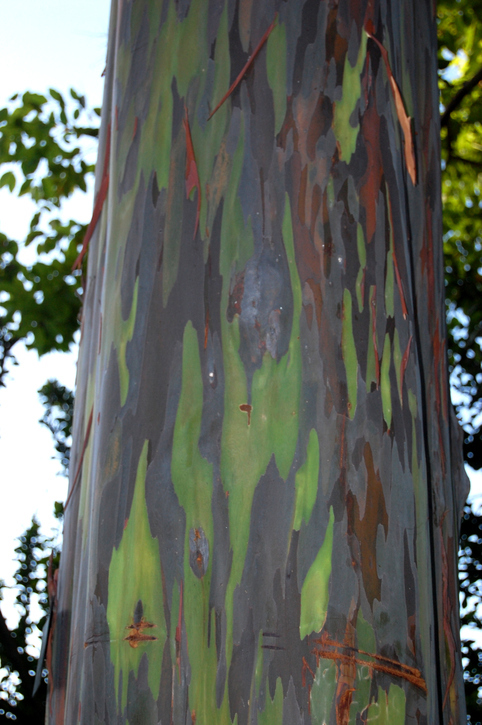 Rainbow Eucalyptus trees are native to New Guinea and don’t stick to a single shade throughout the year. 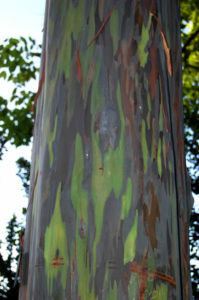 Every time the bark flakes off as it ages, new colors will be revealed. You see trees all the time—oak trees in your neighborhood, fruit trees in local gardens, and even small trees in shopping center parking lots. But, you’ve never seen trees like these! Here is a collection of the world’s coolest tree species that find beauty in their one-of-a-kind natures. These trees feature beautiful pastel colors that run up and down their trunks. If you saw one without knowing better, you would probably think that a teenager went a little crazy with spray paint or that your kindergartener stole some crayons without looking and went wild. These trees are native to New Guinea and don’t stick to a single shade throughout the year. Every time the bark flakes off as it ages, new colors will be revealed underneath for a cool fresh look. The redwoods in California are well known as some of the most beautiful and impressive trees in the entire United States. They tower over your head and seem invincible, but they are currently a vulnerable and endangered species. These pine trees appear to be having a less-than-fun time due to their gnarled and twisted shape. You probably assume that these trees are old, but you have no idea! Some of these trees are over 5,000 years old, so they’ve seen more than a few raised eyebrows at their appearances. Some scientists believe that the Bristlecone Pine is the oldest living thing on earth. These trees can be seen in subalpine groves throughout the western United States. This entry was posted on Friday, August 19th, 2016 at 11:24 am. Both comments and pings are currently closed.